This model phone is a break room or hallway phone, Not suitable for a main desk phone. 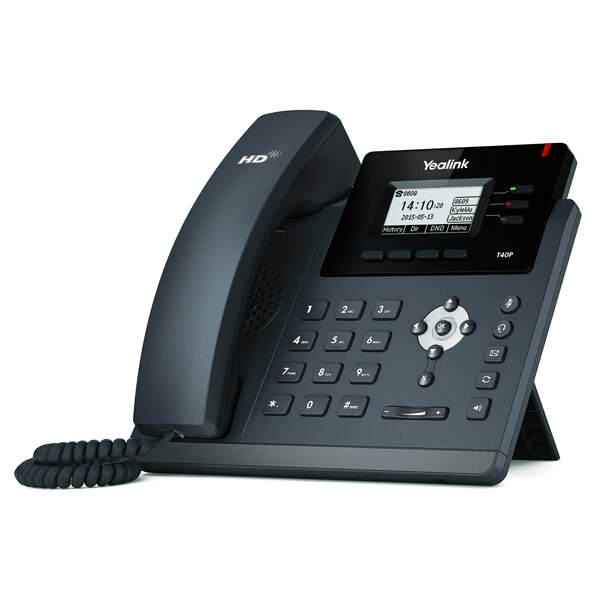 The SIP-T40P is a feature-rich SIP phone for enhancing daily business processes and operations. With a revolutionary new design that supports flexible and secure provisioning (the phone utilizes industry-standard encryption protocols for users to provision and perform software upgrades both in-house and remotely), this advanced IP phone is intuitively designed with ease of use in mind. With programmable keys, the SIP-T40P boasts extensive productivity-enhancing features such as Power over Ethernet (PoE) support,superb high definition (HD) sound quality and a rich visual experience.